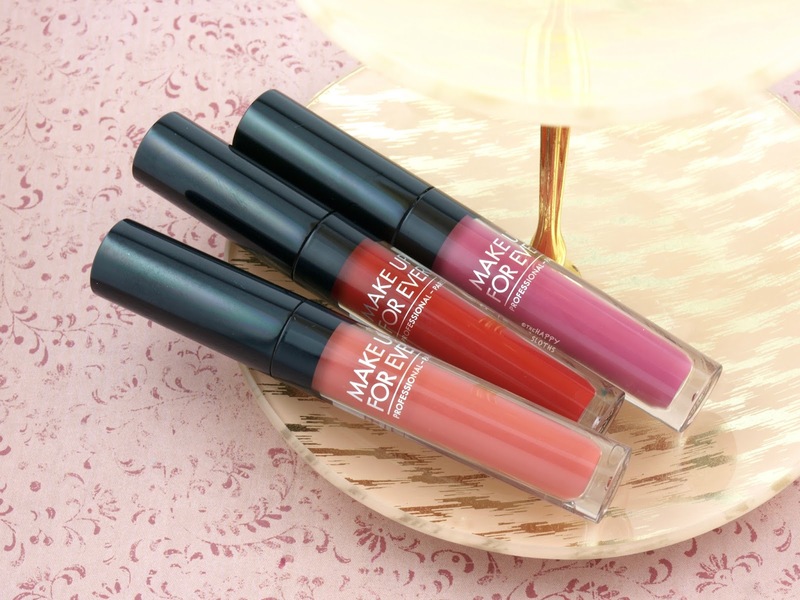 The Make Up For Ever Artist Liquid Mattes are housed in a sleek black and clear lipgloss tube. The applicator has a standard doe-foot design, nothing too fancy or innovative but it gets the job done. 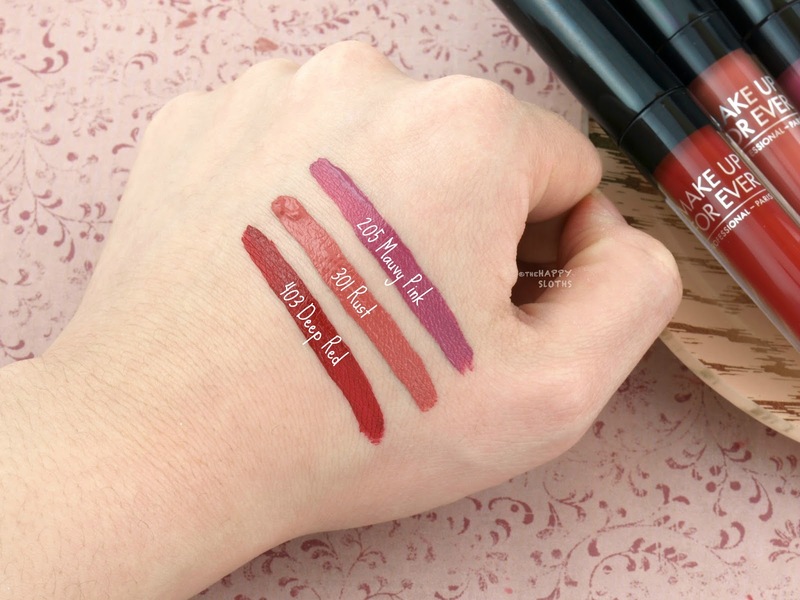 Much like the neutral shades released earlier in the year (check them out here), these three Artist Liquid Matte liquid lipsticks have a creamy and rich formulation that applies smoothly and evenly. All three shades are incredibly pigmented so there's no layering needed. As you can see in the swatches below, the Artist Liquid Matte formulation sets completely to a transfer-proof finish that lasts all day. With eating and drinking, there will be some subtle flaking and fading but nevertheless, the wear is great. See below for a breakdown of each shade. It's worth noting that all the shades dry darker than they appear in the tube. 205 Mauvy Pink: This is a dusty pinkish mauve. The color is very pigmented and smooth. 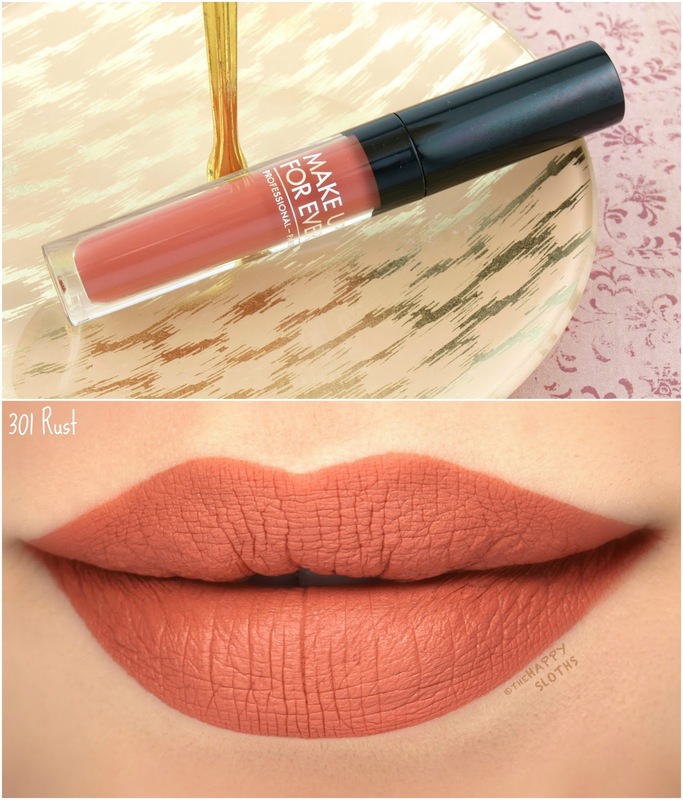 301 Rust: A unique burnt peach, Rust is beautifully pigmented and opaque in just one swipe. 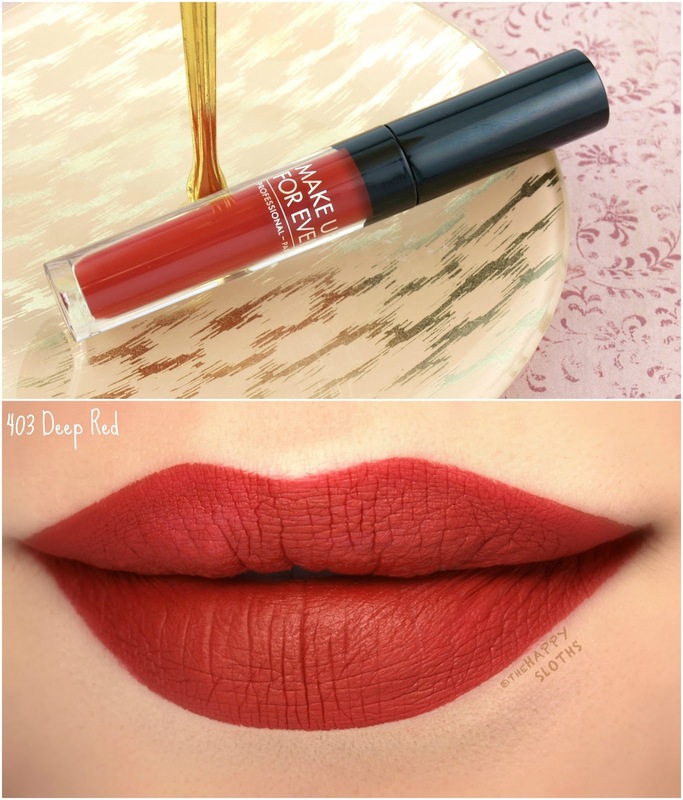 403 Deep Red: This is a rich deep red with just a hint of brown. Like the above two shades, it is incredibly pigmented and opaque. 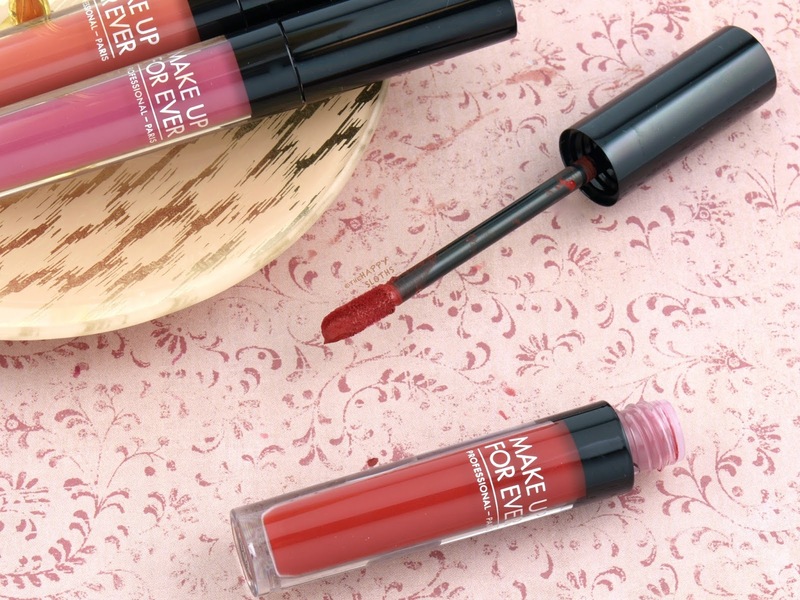 Make Up For Ever | Artist Liquid Matte Lipstick in "205 Mauvy Pink"
Make Up For Ever | Artist Liquid Matte Lipstick in "301 Rust"
Make Up For Ever | Artist Liquid Matte Lipstick in "403 Deep Red"
Overall, these are some excellent liquid lipsticks similar in formulation to the Stila Stay All Day Liquid Lipsticks. All three colors are very pigmented and opaque. If you are looking for a classic, fail-proof liquid lipstick, definitely check out the Artist Liquid Mattes!